Pain, irritation or scratchiness in the throat represents a sore throat. Sore throat is often a common sign of upcoming cold or exhausted vocal cords. Irritants, viral or bacterial infection, toxins, trauma/injury are some of reasons for a sore throat. Dry throat, swollen glands in the neck, hoarseness while talking and white patches on tonsils are some of the symptoms of a sore throat. People who smoke, allergic and weak immune system are more prone to sore throat. Sore throat is not a serious health condition, but it can interrupt your night’s sleep, cause pain during swallowing and talking. If you have unbearable pain while swallowing and talking, it is better to consult a doctor right away. If not, the discomforts caused by sore throat can be resolved with simple home remedies. Wondering what they can be…? Cinnamon, garlic, apple cider vinegar and cloves are some of them. Do Cloves Really Provide Relief from a Sore Throat? Cloves have been used since many centuries, especially in the Tradition Chinese Medicine to treat sore throat. Cloves contain eugenol which acts as pain killer. The pain killing effect numbs the throat which reduces the pain. It contains anti bacterial properties will kill the bacteria causing the sore throat. The anti inflammatory properties present in it relieve the inflammation present in your throat. 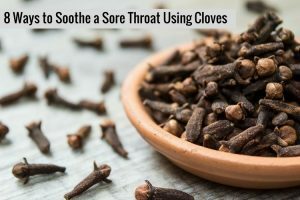 How to Use Cloves for Sore Throat? We have many methods of using cloves for a sore throat. We have mentioned them below for your convenience. Choose a method among them and try it regularly. Chewing whole cloves releases the eugenol present in them. It helps in numbing the area causing the pain. This process helps in getting in good sleep without any disturbance. Pop 1 – 2 cloves into mouth. Hold them until they become soft. Now chew them for few minutes. For extra relief, add a pinch of salt while chewing cloves. This process provides quick relief from the pain and helps in reducing the inflammation. Add 2 cloves into it and simmer for 5 minutes. Add a teaspoon of honey and sip it slowly. This process soothes the throat lining, reduces the inflammation and heals the sore throat. To a glass of warm water, add 1 – 3 teaspoons of powdered cloves. Stir well and use this mixture to gargle for few minutes. Honey coats the throat lining and soothes it. Its antibacterial properties deal with bacteria causing sore throat. This process provides instant relief from the problem. Add 1 clove to 1 tablespoon of honey. Let it soak for few hours to overnight. Remove the clove and sip the honey. Alternatively, you can eat the clove after consuming the honey. Horseradish deals with the bacteria causing throat and upper respiratory infections. This combination is effective in reducing the pain and inflammation. To a glass of warm water, add 1 teaspoon of ground cloves, 1 tablespoon of horseradish and 1 teaspoon of honey. Stir well and drink it slowly. The anti-inflammatory and antiviral properties present in licorice root deal with the germs and reduce the swelling. The antioxidants present in cinnamon provide relief from the pain. In a storage container, combine 2 tablespoons of whole cloves, 1/2 cup each of cinnamon chips, 1 cup of dry licorice root (chopped) and chamomile flowers. Combine the ingredients well and store the mixture in an airtight container. Keep the container away from direct light and heat. While making the tea, combine 3 tablespoons of the mixture and 2 1/2 cups of cold water in a pan. Boil the mixture and reduce the flame. Strain and enjoy the tea. This process gives immediate relief from all the discomforts of sore throat. In a pan, add parsley leaves, few cloves, powdered myrrh and golden seal. Add some water and bring the mixture to boil. Let it steep for few minutes and drink it slowly. For taste, you can add honey. Just like cloves, black pepper also contains numbing properties and anti-inflammatory properties. So this process is more effective in reducing a sore throat. Blend 2 – 3 cloves and 1/2 teaspoon of black pepper. Combine the powder into a tablespoon of honey. Ginger contains amazing anti-inflammatory properties which give relief from the inflammation. Combine equal amounts of ginger powder and clove powder and store in an airtight container. Mix teaspoon of the mixture into 2 tablespoons of olive oil and consume it. Alternatively, you can add 1 tablespoon of the mixture into warm water and gargle with it for few minutes. To a saucepan, add 600ml milk, 2 tablespoons of ginger slices, 1 teaspoon of cloves, 5 cm of cinnamon stick and 1 1/2 tablespoon of palm sugar. Bring the mixture to boil and simmer for 20 – 30 minutes. Remove from the flame, strain and drink the solution. Don’t use clove oil instead of whole cloves as it is toxic which can cause stomach upset. Drink lukewarm water instead of cold water. The warmth of the water provides relief. Prefer drinking soups or warm fluids for relief. Staying hydrated is utmost important. Drink plenty of water. Use a humidifier to moisten the air present in the house. Dry air can worsen the condition. Steam showers help to provide relief from the sore throat. If none of the home remedies work out, it is better to consult a doctor. You can consider lozenges or hard candy to soothe the irritated throat. But avoid giving them to children below or age of 4 as it has choking risk. Avoid irritants like cigarette smoke and cleaning products which irritate the throat. Include fresh fruits and vegetables in your diet to strengthen your immune system. Avoid close contact with people suffering from sore throat. Have you tried using cloves to get relief from sore throat? Do you have any other remedy that works better than the above? Share it with us. 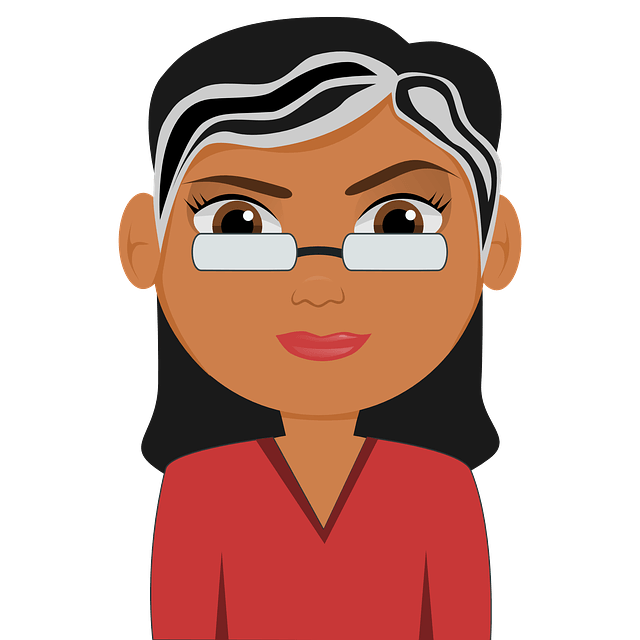 If one has been taking cloves whenever they have had a sore throat, does the effect of it on sore throat reduces with time?